안녕하세요. 저는 여기 있어요! It’s been a while since the last time I showed up with new and (hopefully) insightful post. I will do my best to keep this blog updated! Last Saturday was a productive Ramadan weekend because I joined #BeADigitalPro workshop from Girls In Tech Indonesia. Girls in Tech is a global non-profit organization focused on the engagement, education and empowerment of women in technology and entrepreneurship. Founded in 2007 by Adriana Gascoigne, the organization has grown from San Francisco to more than 50 chapters located in North America, Europe, Asia, The Middle East, Africa, and South America. Its Indonesian chapter have been around since 2013 and they focus on the similar issue. Girls In Tech Indonesia have been actively conducting workshops, classes, conferences, and office visits. I have been eyeing for their coding workshop but unfortunately, the seats are limited and I’m always missing out! But last Saturday I got a chance to join their Personal Essay writing class with Kamantara.id from Zetta Media. I recently went to watch Fantastic Beasts and Where to Find Them and I planned to watch it for the second time. The movie itself is a highly anticipated franchise for both die-hard and casual Harry Potter fans. Fantastic Beasts is a spin-off of the Harry Potter canon. 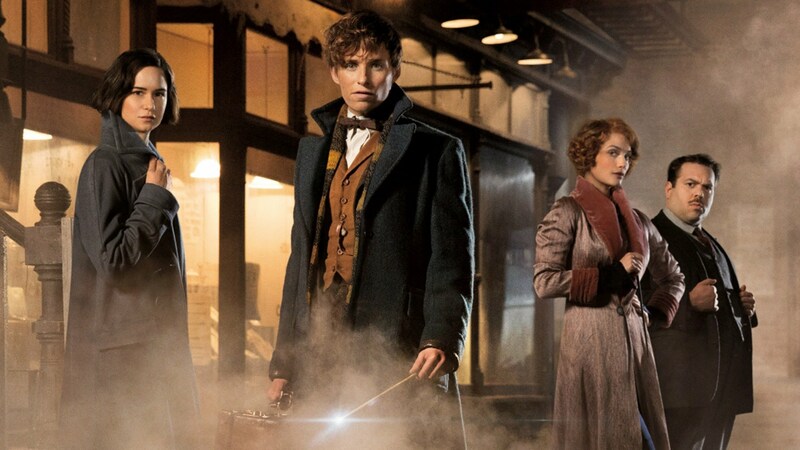 The story begins when a magizoologist named Newt Scamander (Eddie Redmayne) travels to New York with a bottomless case full of magical creatures (imagine Doctor Who’s TARDIS). Newt accidentally lets the creatures slip out from the case and he goes in search for them with his no-maj (non-magic) friend, Jacob Kowalski (Dan Fogler). Newt, for those who has no idea, wrote a textbook of the same title which Harry and his friends used at school. Meanwhile, the city is also in terror after sudden deaths of its citizens, which includes the death of a well-known politician. Thus making the tension between wizard community and no-majs can’t be helped. In fact, it becomes worse. Dealing with real estate agents seems a quite distant experience for most millennials right now. However, at some points in your life, you will need their service to purchase properties. Either for investment, place for living, or other reasons. Ie Uru Onna (lit. The Woman Who Sells Houses) or as known by its English title: Your House Is My Business is one of 2016 summer comedy drama from Japan. The drama’s heroine is 30-year-old Sangenya Machi (Kitagawa Keiko). She is a real estate agent who has unconventional method to sell houses. “There is no house that I can’t sell,” is her life motto. Pokémon Go loses its charm. Pokémon Go shows signs of decreasing. Pokémon Go’s fad is fading. Mainly it’s all what the headlines say about Niantic’s viral game that was launched a couple of months ago. However, as I’ve said before, Pokémon Go made me step back to celebrate the years of my Pokémon phase. I’ve been re-watching the anime since late July this year—I’m currently on season #5: Master Quest. A few episodes away from Misty and Brock’s departure—which actually helps me sharpen my listening skills. A lot of kids discovered Pokémon through the anime whose protagonist is Ash Ketchum. Little did I know back then that the anime is just a part of the big franchise of Pokémon Media Company. Women’s key role and struggle in Asia’s tech industry. Tech industry is growing rapidly all over the world, including Asian nations. The people behind this growth come from various backgrounds. Although most of startups are run by men, we cannot ignore the significant number of women who break the glass ceiling. Think of Hooi Ling Tan (co-founder of Grab, formerly GrabTaxi), Akiko Naka (Wantedly), and Qing-Ru Lim (Zopim), to name a few. Indonesian women are not the exception. We’re sure familiar with Nabilah Alsagoff (Doku), Diajeng Lestari (HijUp), Aulia Halimatussadiah (Nulisbuku), or Cynthia Tenggara (Berrykitchen). There are also other women who have contributed in shaping the nation’s startup ecosystem for years. As tech entrepreneurs, their goal is to tackle the problem most people have daily. Their businesses serve into many categories, such as online payment, culinary, health, or e-commerce. Even some directly address women’s issues like Female Daily Network by Hanifa Ambadar and Ovula (an app to track fertility cycles) created by Friesca Saputra. As you may have heard, Pokemon Go is a huge buzz now. Since its release last week, Pokemon Go is already on the headlines in any game and tech news site (even on this blog, which belongs to neither). Pokemon is a popular franchise. Among people who grew up in mid 90’s to early 00’s, Pokemon is a part of their childhood. Back then, I also had a huge Pokemon phase. I never missed an episode of the anime on local TV station every week, collected the cards, watched the DVDs, and played Pokemon tazos (small round disks found as a bonus toy inside a bag of chips) with my friends and brothers. And so on. Eid mubarak and happy holidays to you all. Praying to those who celebrated Eid in war and conflicts. It’s always saddening to hear about people who hurt each other. This Eid is also a battle for me. My first Eid during my healing process. I find myself yearning for last year’s Eid atmosphere. More time well spent with my younger cousins. Although we were merely doing meaningless stuff. Hanging out in a hill and swimming park near my aunt’s house. Slept/took a nap under a tree. Ate from the street food stall. Took many unpublished hilarious selfies. Conducted a silly smartphone “racing” competition (participants were asked to slide their phones down the hill, the fastest phone that reached the valley was the winner). What a heart warming memory. And last year was the last time I actually received “uang hari raya”, token sums of money given from relatives during religious festivies (especially for children and underages). Means that I am no longer considered underage? On the other hand, disappointments are everywhere. Even from people you care the most. There are a few of them who are supposed to survive with you through the hardest of times, but they did not. It served as a reminder that we can never rely on people, ever. Also, have you ever felt the urge to reach to a friend who needs help, but unfortunately you can’t because you rarely talk to this particular person? Do you know some safe alternatives to reach this friend without hurting their feelings or being awkward? This year’s Eid made me reflect, that the universe has already forced the earlier stages of maturity upon me. I have no choice but to keep going. I wish myself for quick recovery. I wish for more good to happen. In the end, there is more good than bad, isn’t there? Blog di WordPress.com. Tema: Libre.